Some TY students taking part in a music workshop with 5th and 6th class pupils from the Presentation Primary school. This is part of our social outreach programme which encourages Transition Years to get involved in the community, while also giving the girls a chance to improve their teaching and leadership skills. 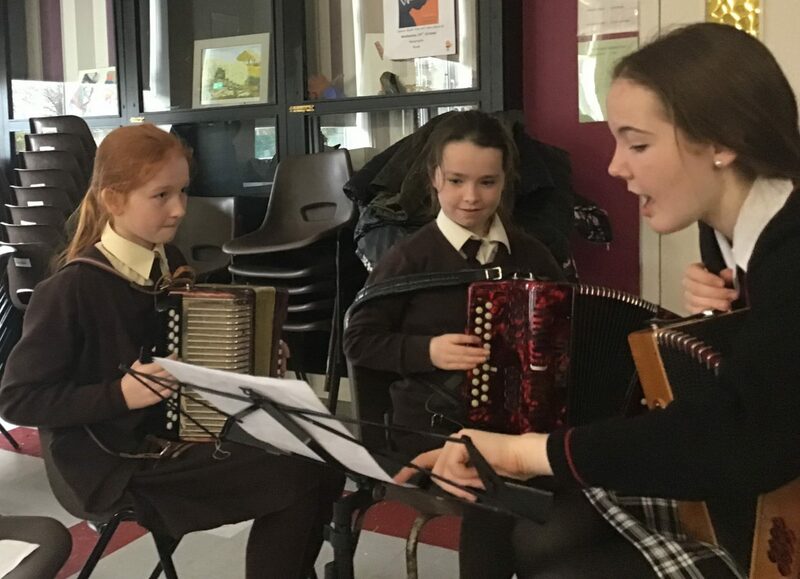 This workshop is an excellent opportunity both for the Transition Year students; and the primary school pupils; as it gives them a chance to be introduced to new instruments and new people. Transition Years enjoyed visiting local primary schools giving music masterclasses .